Owing to poor visibility due to the fog, at least 28 trains have been cancelled, 36 trains are running late, 9 rescheduled. 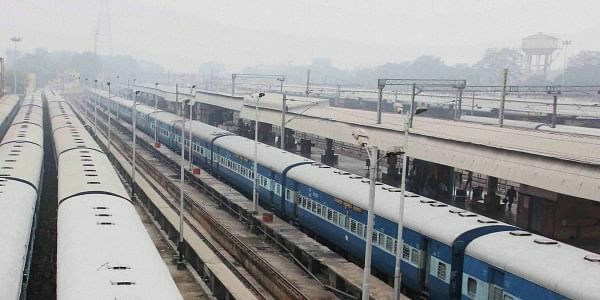 NEW DELHI: As fog continued to cover the capital city on Sunday morning, trains services have taken a hit in Delhi and NCR with 73 trains being affected. Meanwhile, air pollution levels in Delhi have also raised concerns in the city as prominent pollutant PM 2.5 remained in ' very poor' category in the Lodhi Road area. Yesterday, the national capital experienced its first coldest day of this season with minimum temperature at 4.2 degree Celsius, three notches below the season's average. Visibility at 8.30 a.m. was 400 metres. The Meteorological department has forecast moderate fog in Delhi with visibility likely to remain low. Delhi has been battling air pollution for the past many days further lowering the visibility levels.